Poster promoting E.R.A. 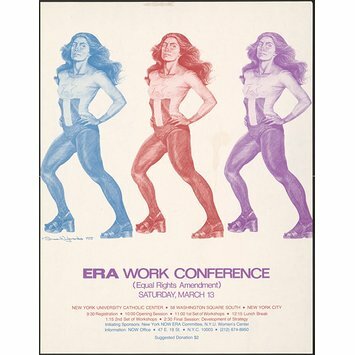 [Equal Rights Amendment] Work Conference bearing a Wybrants illustration of a woman in a leotard, tights and platform shoes depicted in three colourways: blue, red and purple. 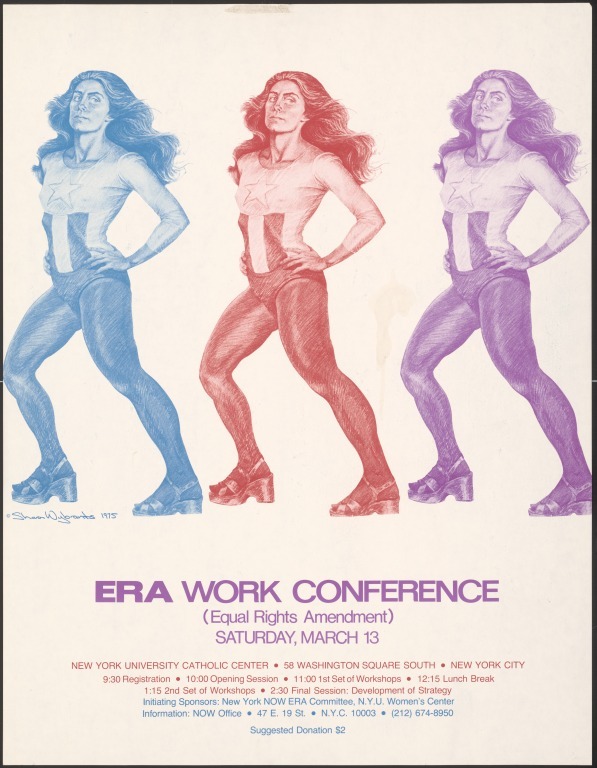 Poster by Sharon Wybrants promoting E.R.A. [Equal Rights Amendment] Work Conference. USA, 1976.